FEFCO GMP standard is developed for the manufacturing of packaging made of corrugated board in order to support companies to fulfill the legal requirements according to EU Regulations 1935/2004/EG for food contact materials and EU Regulation 2023/2006 on good manufacturing practices (See document below). All actors of the supply chain (e.g. producers, packers or suppliers) are responsible for ensuring the quality, safety, and hygiene not only of food, but also of packaging. The corrugated industry produces the N°1 transport packaging in the world. 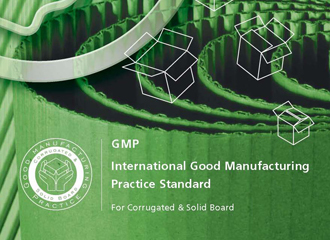 The FEFCO GMP standard was launched at the end of 2003, renewed in 2006, to ensure that corrugated boxes meet all the requirements of quality, safety and hygiene. Furthermore, such a transparent standard, adapted to the material, also respects all its specific qualities (versatility, lightness, strength, recyclability). Implementing this GMP means having a total control system in place in each manufacturing plant. The purpose is to ensure that from the purchase of raw material through the delivery of the finished product to the customers' premises, all parameters of quality, hygiene and traceability are monitored. it meets the requirements of EU Regulation 1935/2004/EG and EU Regulation 2023/2006 concerning the GMP implementation during the manufacturing of packaging intended for food from corrugated board. The Reel Identification and Finishing Guidelines published in December 2017 has been developed by FEFCO together with Cepi ContainerBoard (CCB) and contains the principles for reels labelling as well as core requirements. Reel Identification and Finishing is available for download in English here. The corrugated industry is acting in an environment where the requirements of customers are getting more and more strict and demanding. The converting machines play a major role in obtaining the required quality level of the finished products. The FEFCO Standards for Converting Equipment is meant to support all those in the industry who are involved in selecting converting machines, defining the specifications of the machines, commissioning the machines and using them after installation. (See document below). © FEFCO 1952 - 2019. All rights reserved.